I searched for a creamy concealer with a wand applicator. 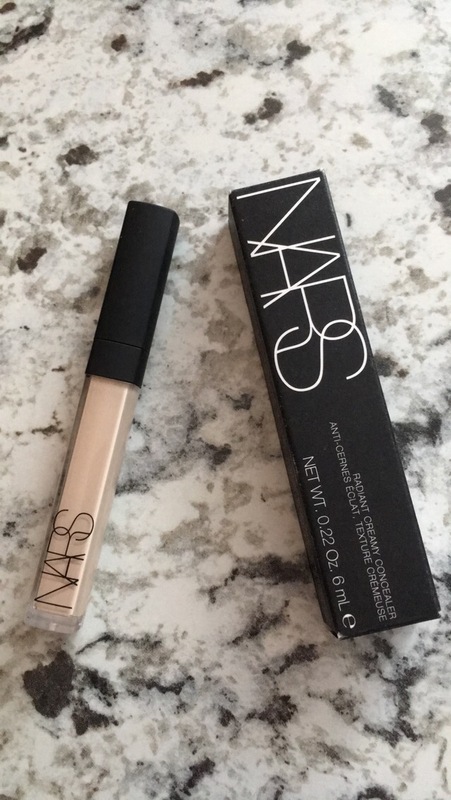 After testing it in store, Nars Radiant Creamy Concealer offered just that. The conceler offers full-coverage to blur imperfections. After one use, I noticed brightening and concealing effects. I have not noticed these effects with other, more watery concealers I’ve used. All NARS products are packaged in a sophisticated, matte black box. The concealer is in a clear tube. This allows you to view the product colour. I prefer concealers with doe-foot applicators. A doe-foot applicator creates precision. True to it’s name, the concealer is thick and creamy. Applying a small amount of product to the face covers a wide area. I apply three dots to my undereye area, and it covers completely! Nars Radiant Creamy Concealer is smooth, creamy and blendable. The applicator allows for careful application. 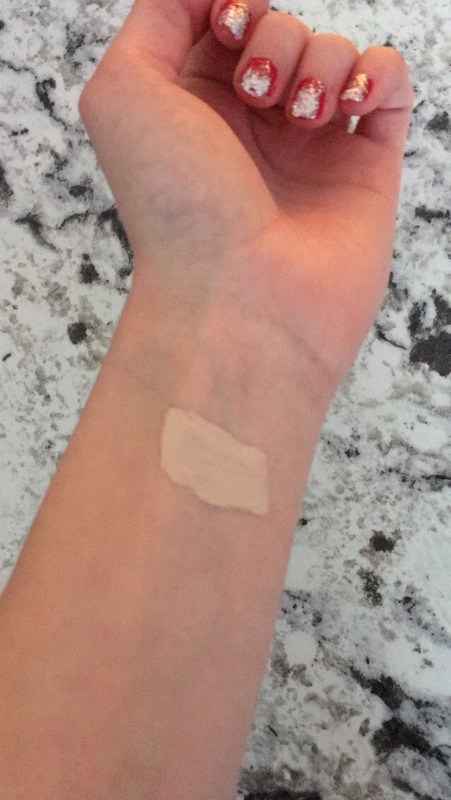 After a single use, it became my most beloved concealer. It retails at Sephora for $29. Today I share tips for anyone who is considering becoming a beauty/lifestyle blogger. The idea of starting a blog may seem daunting. When I began this blog a mere 6 months ago I spent a considerable amount of time researching blog platforms. I also researched how to blog. What makes you unique? Determining a specific angle for your blog will help it perform better. If your blog has a specific focus, it will help it stand out. You can become a beauty/lifestyle blogger or a blogger who writes about one specific beauty item. Connect with other bloggers in your niche. Forming connections via social media is useful to establish support, and find new resources. Writing a specific post on each day organizes your ideas. I write beauty/lifestyle posts on Monday, tips on Wednesday, and product reviews on Friday. Writing each post with a topic in mind aids you in streamlining your thoughts and ideas. It takes time to narrow down the details of blogging – the perfect blog name, the right logo. Don’t focus on perfecting it the first time. You can always change these aspects. Just go with what feels right to you in the moment. Why are you starting a blog? Are you writing as a hobby, or do you wish to expand it into a career? Asking yourself these questions establishes your purpose. 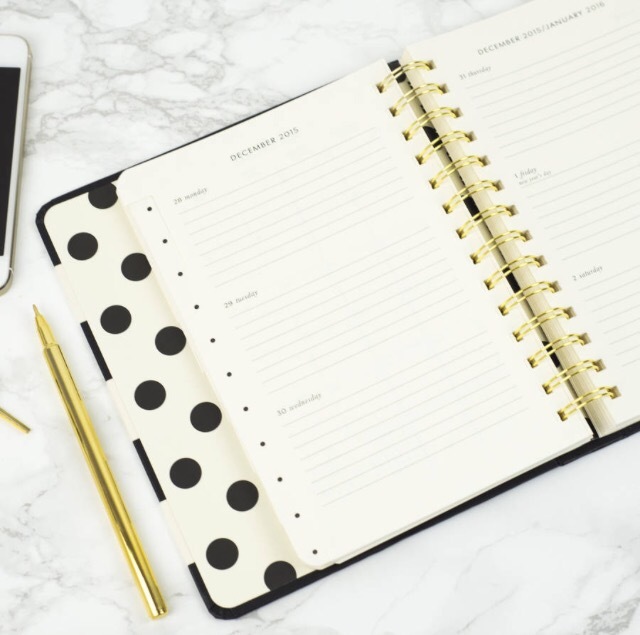 Set goals and waypoints to create focus as you begin your blogging journey. 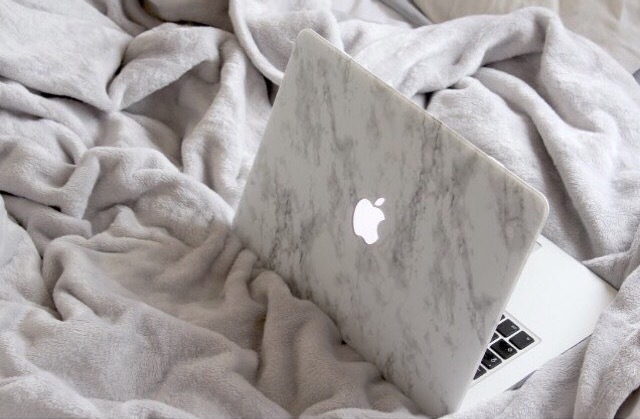 What are your top tips for aspiring beauty and lifestyle bloggers? Hello and Happy Holidays, lovelies! During 2016 I acquired many beauty and lifestyle items that became instant favourites. With the year winding to a close, I decided to reveal my top five items. This was not an easy list to create, but it is reflective of the main items I’ve reached for throughout the year. I splurged on this handbag while in Florida this summer. 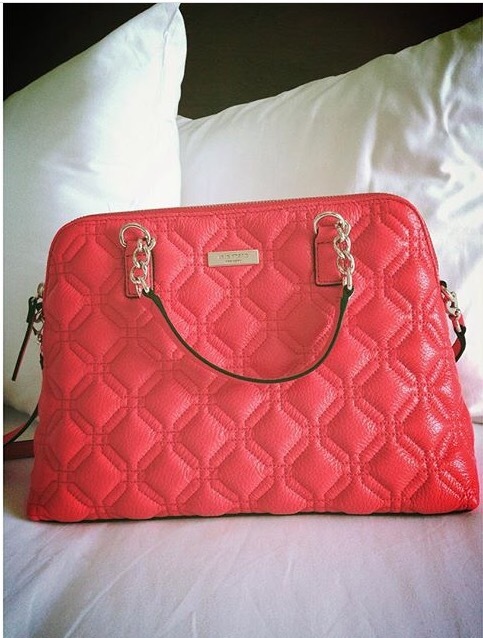 The bright coral colour helped add a pop of colour to my outfits and accessories during the rest of the year. The purse size became perfect to store my must-have items. Modern Renaissance became my most-used palette this year. The fall-inspired palette enabled me to create various looks throughout the season. It received considerable use this past weekend. The warm reds and glitter shades complimented many of my holiday outfits. Clean Reserve’s perfume is the first scent I owned without flowery notes. The crisp, clean notes were a nice change to my fragrance profile. The scent is sophisticated, yet still subdued. The final item on my list of favourite beauty products of 2016 is Kat Von D’s Lock-It Foundation. I searched for a full-coverage foundation for months. Once I discovered this foundation, it instantly became my favourite. The foundation is full-coverage, but breathable. A staple in my blogging journey, my iPhone kept me connected with all of you. 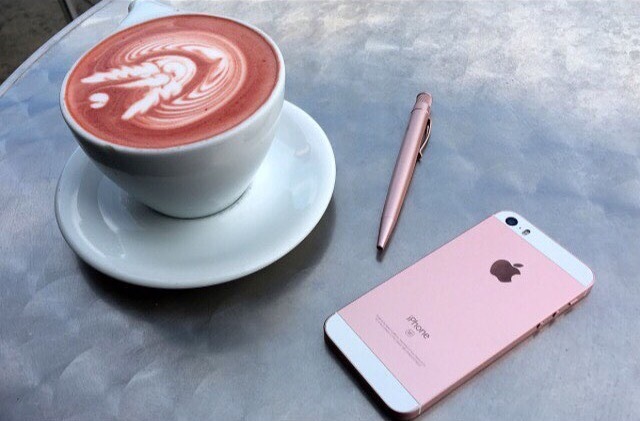 I upgraded my phone before starting my blog. This enabled me to take better photography. My iPhone allowed me to streamline my workflow, enhance my photography, and stay connected. A planner is an essential tool in my life. I thrive on organization. I like to keep my academic, blogging, and other information organized. I bought the Kate Spade planner recently for the upcoming year. I’ve begun recording important dates and information already! 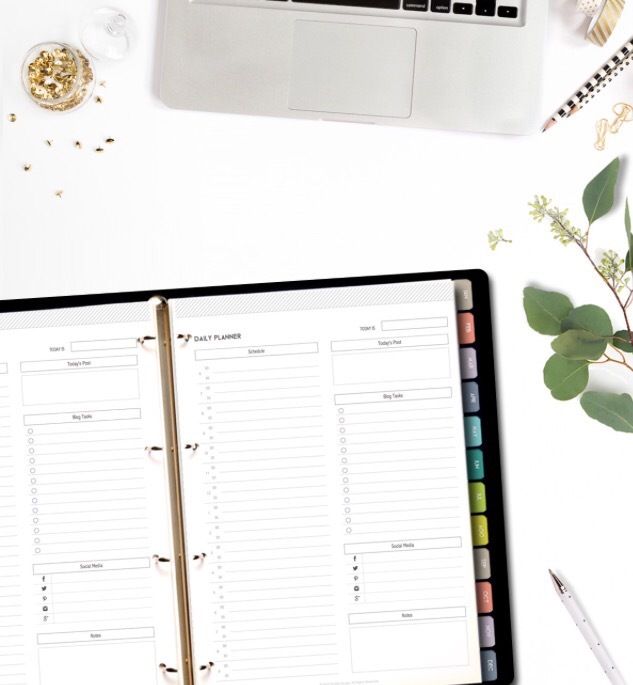 The planner is colourful and durable. What were your favourite beauty and lifestyle items of 2016? 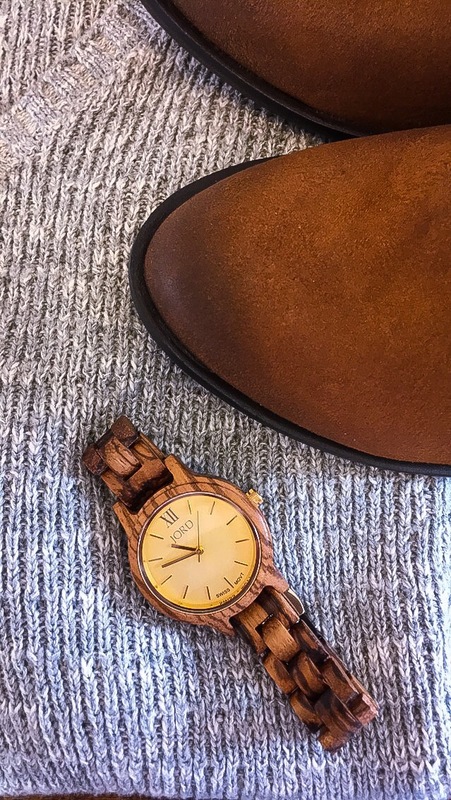 Today, I’m excited to share this post, sponsored by JORD Wood Watches. JORD is a United States-based company. JORD offers unique timepieces. They offer a range of styles and colours. This watch is from JORD’s Frankie Series. It features a wooden strap, with a sapphire crystal glass face. The watch face is a light golden colour. The Zebrawood and Champagne design is crisp and elegant. 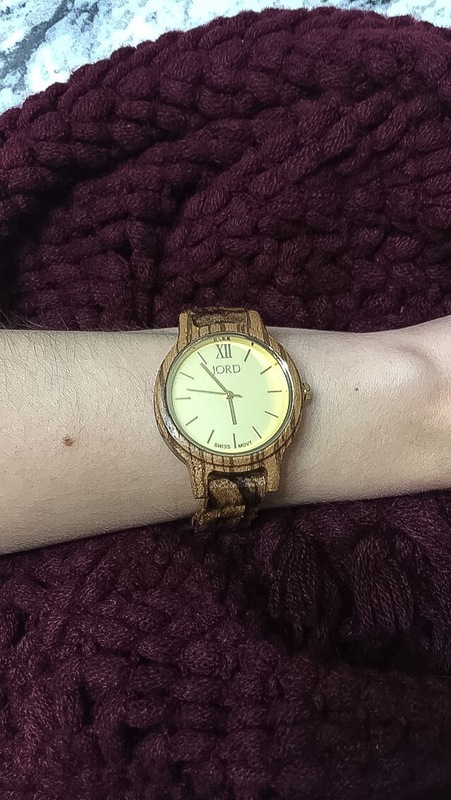 The wood watch elements are lightweight. I own a lot of silver jewellery. The champagne colour of the watch face creates beautiful contrast. The glass elements are delicate, yet the wooden elements are strong and sturdy. I enjoy this contrast in the watch – the wood balances the delicate features. JORD offers both men’s and women’s watches. 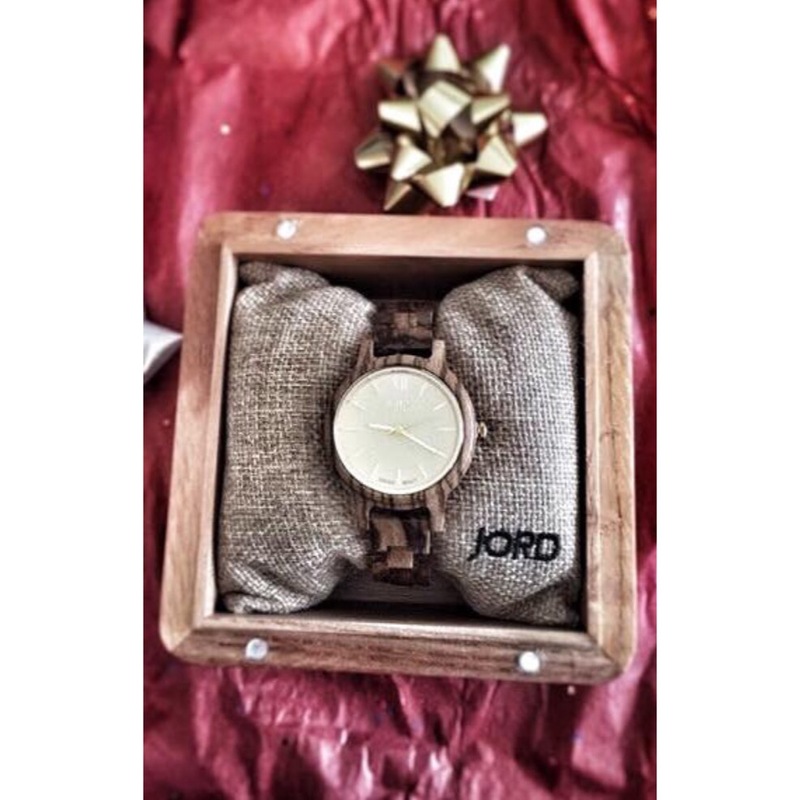 JORD’s unique watches are crafted with various types of woods, including bamboo, ebony and rosewood. Natural zebra wood is present in this Frankie Series watch. The materials highlight sustainability. All JORD watches feature a Swiss movement. This means components of the watch were created in Switzerland. The wood is comfortable against the skin. I adore my watch. I’ve owned multiple watches in the past few years, but this is the most unique! The elements, design, and wear are elegant and crisp. The watch has become a staple in my holiday outfits. It accessorizes beautifully with gold and silver. JORD watches are available from JORD’s official website. The website offers both men’s watches and women’s watches. The watch I own is a Frankie 35. Each watch retails from $129-$295. If you’re still searching for the perfect gift this holiday, JORD offers a watch to suit any style! Matte-finish lipsticks are quite popular. I prefer matte finishes due to their longevity. I have a few lipsticks in my collection with a shine or creme finish, and I decided to research ways to turn them matte. In today’s post, I share the tips I use to turn all my lipsticks matte! This trick is my favourite. 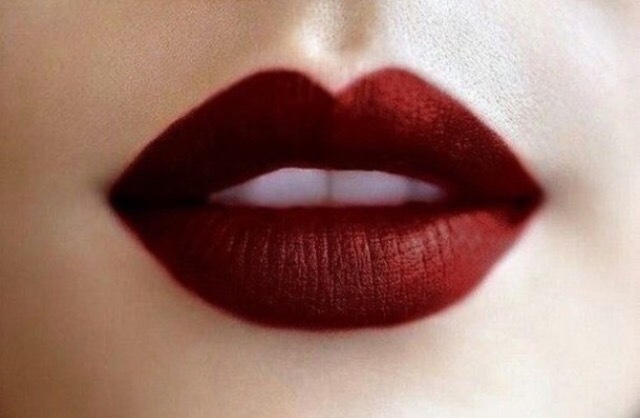 I apply one layer of lipstick, and hold a tissue between my lips. I then dust translucent powder over the tissue, and apply a second coat of lipstick. The tissue filters the amount of powder applied to the lips. Applying a translucent powder to the lips absorbs the creme ingredients in the lipstick. I use M.A.C. Prep+Prime Transparent Finishing Powder. Most drugstores and major beauty outlets carry products designed to transform a lipstick finish. Smashbox, for example, sells an Insta-Matte Lipstick Transformer. This gel transforms any lipstick finish to matte. The translucent powder trick may not work for dark lipstick colours. In this circumstance, using a matte eyeshadow in a colour close to the lipstick will work! Apply the eyeshadow to over the lipstick using a small brush. You can also use translucent powder to avoid fallout. If you don’t have the above products on hand, simply dabbing tissue paper on the lips. This removes the shine from the lipstick. Lightly dab the tissue on your lips after applying the lipstick. Have you tried turning your lipsticks matte? If you’ve used any of these tricks, or others, I would love to hear about them! I plan the dates to post each product review once I have new products. Those are the posts I plan first. I often search Pinterest for inspiration for my other posts. I record all ideas/titles in a notebook, organizing by date. I post on Monday, Wednesday, and Friday. I devote specific content on each day. I post various beauty or lifestyle topics (e.g. 20 Things I’ve Learned in My 20s) on Mondays. Wednesday is devoted to tips. I post a product review each Friday. The length of my writing process depends on the post. I plan my product reviews weeks in advance, and draft ideas for the posts before I begin writing in-depth. Collaboration posts (such as this one for Adore Me) are written in a shorter time frame to accommodate the schedule of the person I am collaborating with. I draft each post within WordPress. I edit using Hemingway Editor. This program relies on readability, and edits writing to eliminate passive voice, adverbs, etc. I use CoSchedule’s Headline Analyzer to refine my post titles. Editing posts is the quickest part of my blogging process. Today’s product review features Clinique’s Take the Day Off Cleansing Balm. I received this balm as a sample from Sephora. This balm is a transformational makeup remover. It changes from a balm to an oil, to a milk to remove makeup. The sample-size is a clear purple container with a twistable silver top. It is lightweight and portable. I often toss it in my purse for last-minute makeup removal. Upon opening the container, you’ll see a white balm. It has a waxy consistency. After rubbing the balm into the skin, it transforms to an oily texture. The product then becomes milky. Despite the changing form of the balm, it doesn’t leave residue on the skin once rinsed off. It is suitable for all skin types, and is non-irritating. This balm is non-scented. This balm is suitable for use on wet or dry skin. Simply scoop the product out of the container and massage into the skin. The product will begin to break down makeup. Adding a little water to the balm emulsifies it, turning it into a milky consistency. Have you tried Clinique’s Take the Day Off Cleansing Balm?